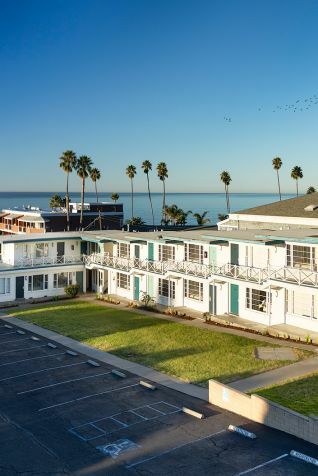 Whether your prerogative is to dive into surf culture, discover a new fervor for volleyball, or simply spend each evening basking in the beauty of a California sunset, Redondo Beach travel offers all ingredients needed to a complete a most satisfying seaside stay. From the fun-filled pier to active sports fishing and whale watching excursions, Redondo Beach attractions and activities offer something for everyone. Best of all, Pacifica Hotels offers The Redondo Beach Hotel as the perfect home base. Tour the laid-back coastal town with handy bike rentals and enjoy easy walking distance to the beach and King’s Harbor - all for a great value. Experience the laid-back, coastal style of marina-facing rooms, rooftop terrace with spectacular ocean views, and complimentary Wi-Fi and breakfast everyday. 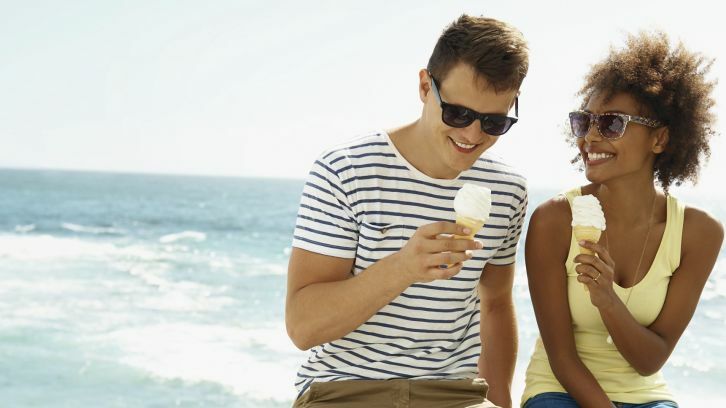 The local area is perfect for walking or biking, and this Redondo Beach Hotels offers onsite bike rentals during your next beach vacation. Experience the best of Northern California when you escape to Half Moon Bay, a relaxing sanctuary just 30 minutes south of San Francisco along California’s picturesque coastline. With its scenic ocean vistas, acclaimed surfing at Mavericks, horseback riding on the beach, and premier golfing at Half Moon Bay Golf Links, plan a coastal getaway that you’ll never forget at Half Moon Bay Lodge by Pacifica Hotels. This stunning choice among Half Moon Bay hotels offers the perfect combination of friendliness, seaside charm, and natural beauty. 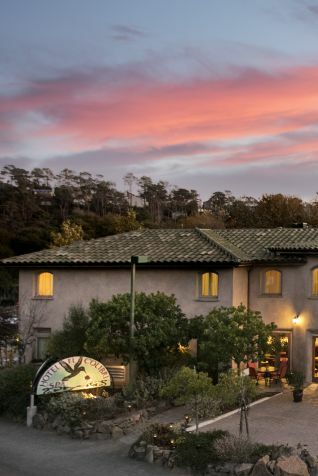 Embodying hacienda-style architecture in a quiet retreat setting, Half Moon Bay Lodge is a coastal hideaway for leisure and business travelers alike. 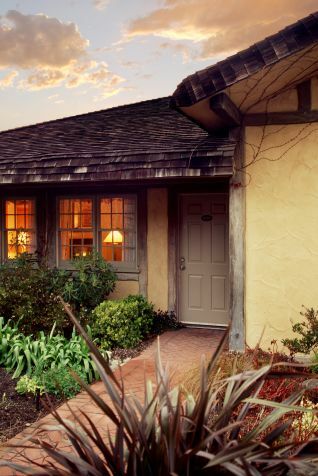 Our Half Moon Bay, CA hotel features 80 rooms and suites with an enhanced lodge feel, warm and inviting with earth tones and cozy furnishings. Witness the spectacular beauty of the Central California Coastline at one of our delightful hotels in Cambria, San Luis Obispo, Pismo Beach, and Santa Barbara. 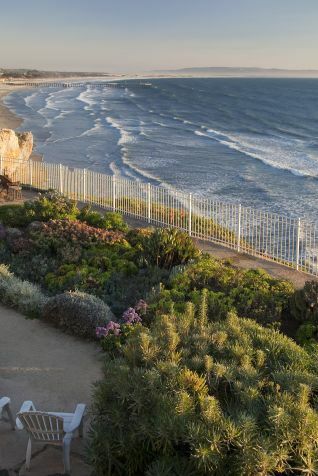 Ideal for both relaxing and adventurous getaways, hotel guests can explore some of the best surf spots in California, take a hike through scenic trails, embark on an incredible wine tasting journey, or just relax by the sea. The Central Coast is home to renowned wine regions, art galleries, exemplary restaurants, and incredible cultural gems like the majestic Hearst Castle, built by newspaper tycoon William Randolph Hearst. From Cambria to Santa Barbara, we invite you to experience the golden state of mind with Pacifica Hotels. 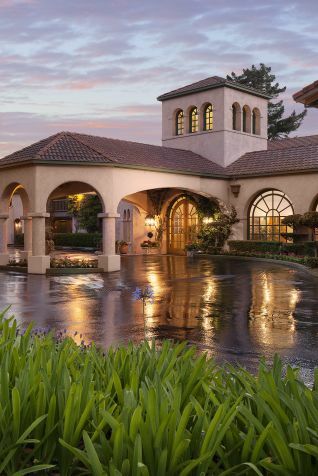 Set amidst 9 acres of lush grounds and classic California coastline, you will find modern comfort and convenience in an unparalleled setting that hearkens back to simpler times. From brand new ranch-chic guest rooms to lawn games for the whole family to on-site dining to a private trail to the shores of Cambria’s Moonstone Beach, Oceanpoint Ranch is the perfect place to unplug. Experience a picturesque getaway to Cambria, an inspired setting for romantic escapes, leisurely adventures and unforgettable group travel. Fireside Inn is a premier choice among hotels on Moonstone Beach, offering beachside accommodations with cozy fireplaces, jetted tubs, and private terraces. 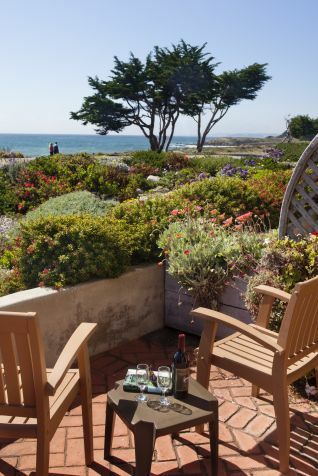 Be whisked away on a romantic coastal getaway to Cambria Landing Inn & Suites, a Moonstone Beach hotel featuring boutique oceanfront accommodations. You'll find in-room jetted tubs, cozy fireplaces, and a striking location. A relaxing gem amongst hotels in Cambria, CA, our hotel is the closest hotel to the water on Moonstone Beach. 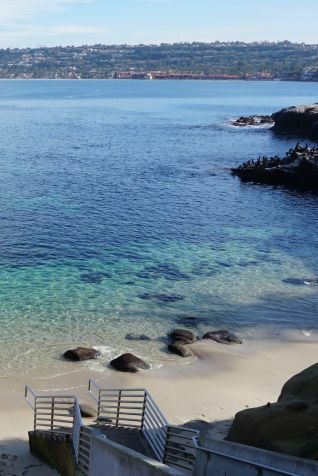 You’re invited to the Central Coast where the relaxation and adventure you desire reside in perfect harmony. Pelican Inn & Suites offers guests the ultimate oceanfront escape with tranquil accommodations outfitted with modern amenities and personalized guest service that will make you feel right at home. While here, enjoy complimentary Wi-Fi, plush bathrobes, upscale bath amenities, hot breakfast, and gourmet coffee. The much-loved FogCatcher Inn is a seaside gem located just across the street from the sparkling shores of Moonstone Beach. 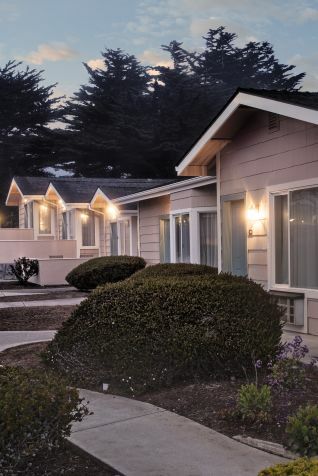 On-site features at our Cambria, CA inn include a year-round heated pool and Jacuzzi with spectacular ocean views, perfect for sunsets, complimentary expanded hot breakfast, and fireplaces in every room. 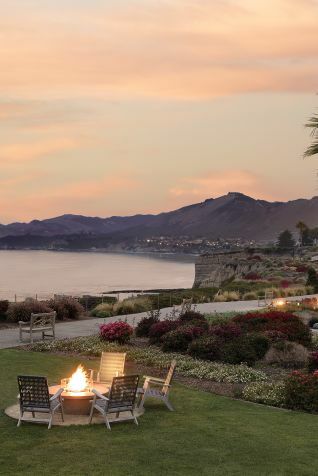 Nestled between the pristine beaches of the Pacific Ocean and the Big Sur Mountains lies a standout among hotels in Cambria, California, El Colibri Hotel & Spa. Immerse yourself in California culture and relaxation without ever having to leave. Sip an exclusive Paso Robles vintage at our Nectar Wine Bar. Indulge in a rejuvenating massage, steam rooms, and more upstairs at The Nest Spa. 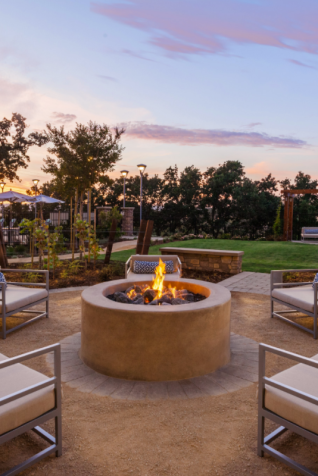 Spread out in our beautiful, new all-suite hotel located just moments from the heart of Paso Robles wine country. NOW OPEN! The Kinney San Luis Obispo invites you to embrace your inner coed, bringing cultivated on-and-off campus vibes to the forefront. From our 100 newly redesigned guest rooms to our on-site bar and restaurant Leroy's, featuring classic games such as skeeball for cheers’ing and challenging your floormates to oh-so-flexible function space for a not-so-corporate meeting of the minds, there’s more to discover and delight in at the newest addition to The Kinney collection. 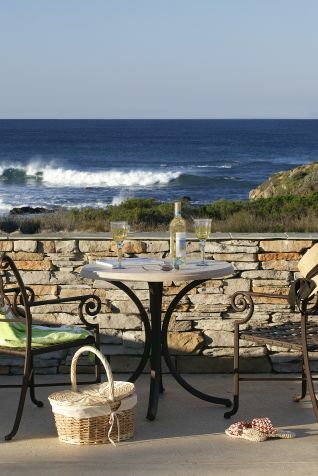 Spyglass Inn invites you to an oceanfront experience designed to help you relax at every turn. Embodying casual elegance in our newly renovated Shell Beach hotel accommodations and a commitment to thoughtful service, Spyglass Inn is a bright destination for romantic getaways, family vacations, as well as meetings and events. A premier choice among hotels in the Pismo Beach area, Spyglass Inn is nothing less than majestic. Escape to the most unique and captivating destination among Pismo Beach, CA with Cottage Inn by the Sea, offering newly renovated accommodations with dramatic ocean views. Our charming romantic hideaway features an oceanfront heated pool and spa and easy access to area attractions such as the Pismo Beach Pier, Oceano Dunes and the colorful Monarch Butterfly Cove. A classic choice in Pismo Beach beachfront hotels, Sandcastle Hotel on the Beach (formerly the Sandcastle Inn) spoils guests with direct beach access, all new guest rooms, and endless amenities, including free Wi-Fi and an upper patio with lounge chairs, fireplaces, heat lamps and ocean views. While here, enjoy proximity to Pismo Beach Pier, Oceano Dunes and the Monarch Butterfly Cove. 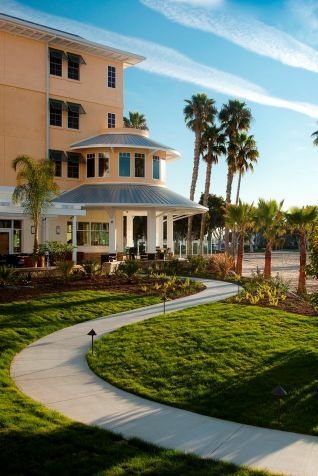 Among the most affordable hotel choices in Pismo Beach, you're invited to discover the Tides. Each of our Pismo Beach guest rooms and cottages provides the simple comforts of home for a truly stress-free stay. 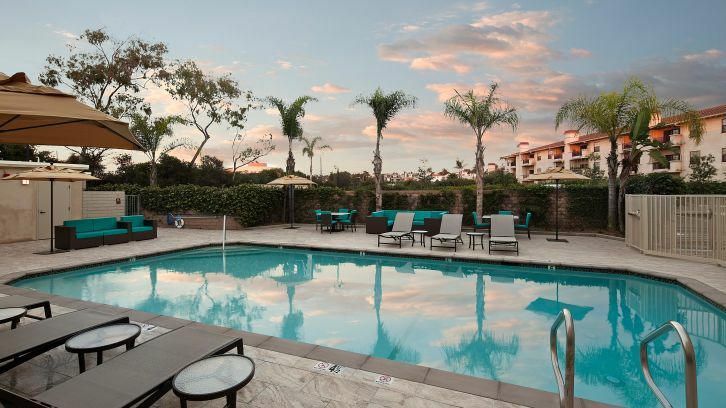 Enjoy convenient amenities like complimentary Wi-Fi, cable television, and on-site parking, plus sweeping ocean views from our blufftop location. Located just steps from the famous Pismo Beach pier and boardwalk, the all-new Inn at The Pier is officially open on Cypress Street in downtown Pismo Beach. 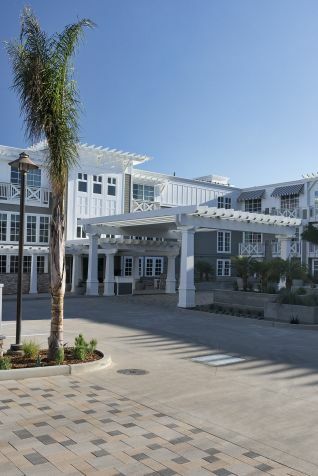 This cozy, craftsman-style hotel in Pismo Beach features upscale amenities reminiscent of a luxurious beach house, with full-service on-site dining and a rooftop bar. 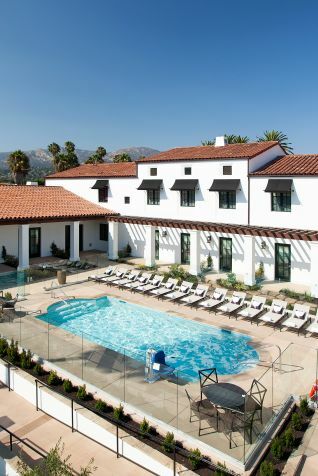 Experience a Santa Barbara suite hotel like no other. Pacifica suites seamlessly melds classic beauty with modern amenities for a treasured experience in business and leisure travel. 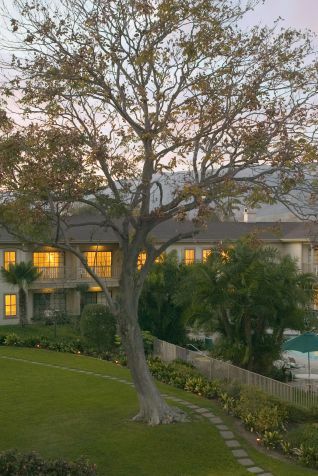 Among hotels near Goleta, none can offer the exotic collection of trees and plants that guests find at Pacifica Suites. None can claim residence with the historic Sexton House, a registered historic place built in the 1880s. The Wayfarer is your doorway into unforgettable experiences of culture and flavor. 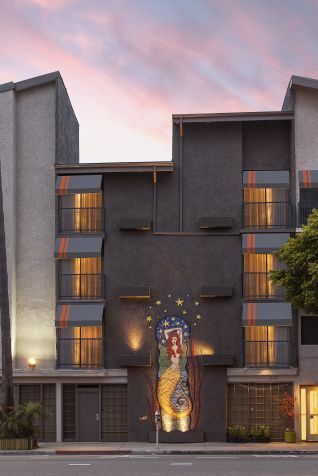 Located in downtown Santa Barbara’s newest, hippest neighborhood, the Funk Zone, The Wayfarer features a selection of 31 private and dorm-style guest rooms, complimentary breakfast, a communal kitchen, and a pool overlooking State Street, plus regularly hosted local events and tours. Named a Top 10 US Hotel and featured in Gayot, Forbes and Conde Nast Traveler. Known as the "Entertainment Capital of the World", Los Angeles possesses youthful beauty and a personality that you can’t find anywhere else. And staying true to its reputation, there's never a shortage of things to do in LA. From the circus-like boardwalk of Venice Beach to the glitz and glamour of Beverly Hills to the yachter’s paradise of Marina del Rey, Los Angeles is certainly a silver screen-worthy experience for both locals and visitors. Plan an unforgettable stay at one of Pacifica Hotels in the LA area, along Southern California’s sparkling blue waters. 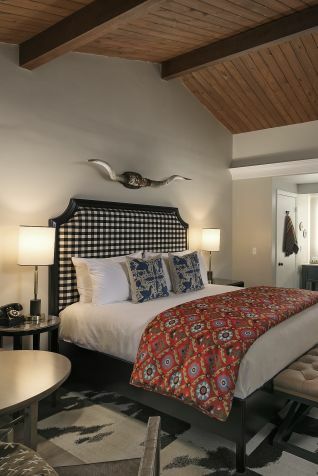 Experience the undeniable style of our chic West Los Angeles boutique hotel near Beverly Hills - the Carlyle Inn. Ideal for travelers looking for a unique hotel experience, fall in love with the Carlyle’s beautiful sundeck, courtyard, and 32 guest rooms, where Art Deco meets modern comfort and convenience including a profusion of luxuries like new 48” flat screen TVs, complimentary Wi-Fi & breakfast, and plenty more. Old Hollywood glamour lives on at this art deco historic Santa Monica hotel. Soak in SoCal sunsets and sip signature cocktails at The Veranda Restaurant. Revel in your front row view to the Pacific from all new spacious guest rooms and suites. Stroll through Palisades Park, ride the Santa Monica Pier ferris wheel, and shop to your heart's content at the Third Street Promenade. At The Georgian, it is all within reach. Your one-of-a-kind stay awaits. 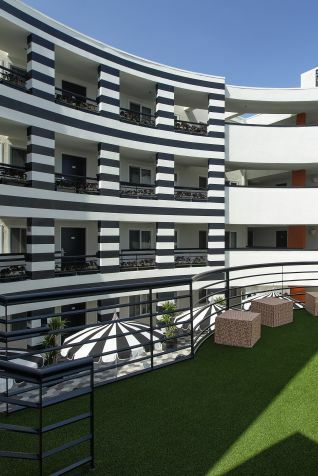 With our playful one-of-a-kind style and central location, live like a local at The Kinney hotel in Venice Beach. Grab your entourage and truly experience So Cal - from courtyard loungin’ to beach cruisin’ - our house is your house. 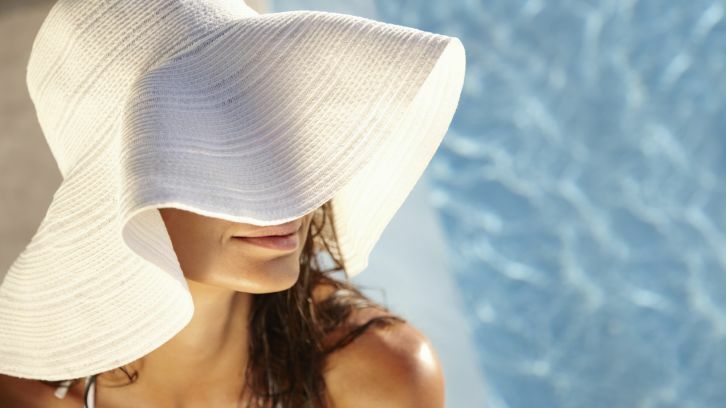 Keep the Snaps going with complimentary Wi-Fi, cool off in our dipping pool, and when you’re ready to call it a night, refresh in brand-new beds. Now is the time to truly experience Venice (and give your friends a little FOMO). Upon arrival, be greeted by our resident mermaid, beckoning you to experience the other side of L.A.— after all, there’s nothing quite like Venice Beach. 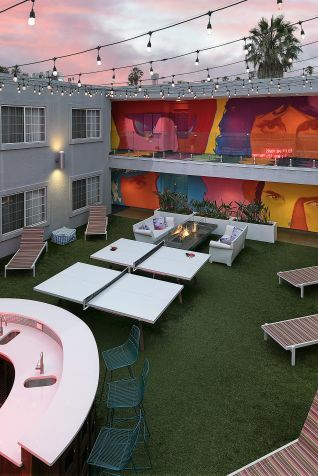 Fusing classic Boardwalk style with modern touches in our artwork, furnishings and stunning service offerings, our unique hotel in Venice Beach injects some fun and color into your stay, whether you are here on business, leisure or a bit of both. Let the flavor of the tropics inspire you to unwind and let go at our waterfront hotel in Marina del Rey. Experience the ultimate in relaxation and location at Jamaica Bay Inn, an ideal destination for business and leisure travelers, featuring spacious rooms and suites, warm service, and thoughtful amenities. Enjoy on-site al fresco dining at the all-new Beachside Restaurant & Bar, and a waterfront pool overlooking Mother's Beach. 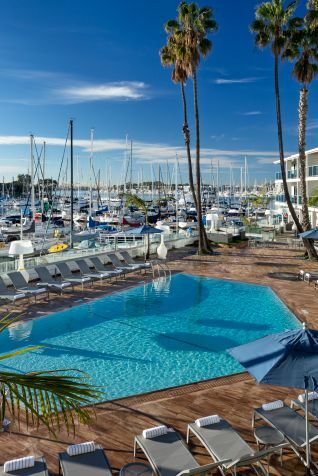 Situated in a scenic waterfront location on the world’s largest manmade small-craft harbor, the luxury Marina del Rey Hotel invites guests to unwind and indulge in equal balance. Whether you are here for business or leisure, we can ensure that your needs will not only be met, but exceeded at every turn, from our new guest rooms and suites, many of which overlook the dazzling marina, to our delightful dining at SALT Restaurant & Bar. Enjoy our infinity pool and spa that also overlook the beautiful marina. 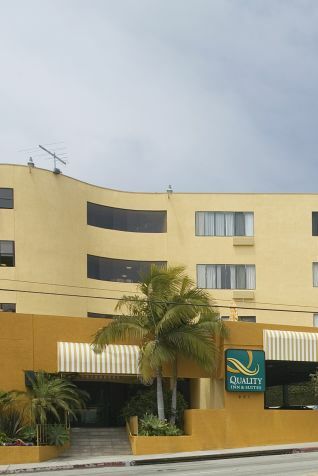 Ideally located near Manhattan Beach and Redondo Beach, Quality Inn & Suites, Hermosa Beach hotel offers a collection of comfortably spacious guest rooms with complimentary Wi-Fi, plush robes, refrigerators, coffee makers and in some cases jetted tubs and ocean views. It's perfect for leisurely vacations or business trips. 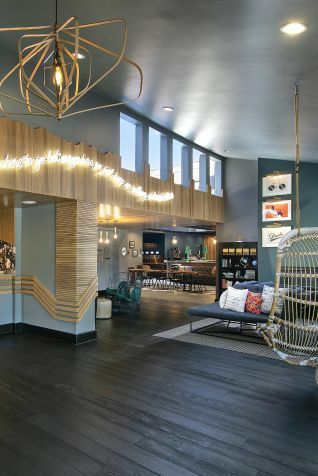 You’re cordially invited to a Manhattan Beach, CA hotel experience that’s big on character and unmatched in service. Where work is play and play is prioritized, The Belamar beckons you to plan your vacations, business trips and special events with us by your side. Feast to your heart’s content at the top-rated Second Story Restaurant. 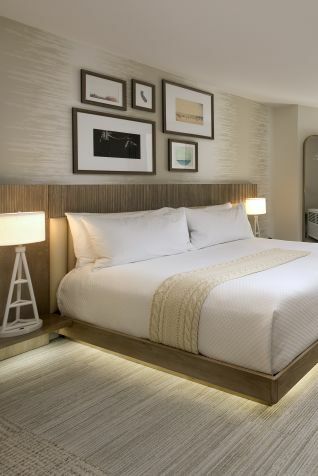 Sleep in beach chic style in one of our all-new hotel rooms or suites. 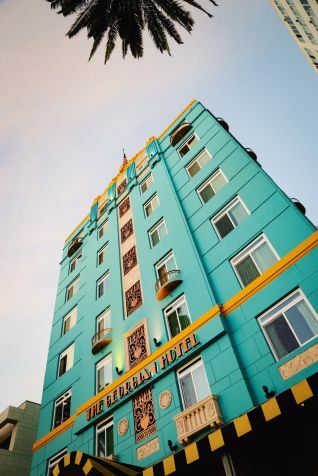 Overlooking the famous Pacific Coast Highway, the all-new Hotel Hermosa serves as one of the most scenic and convenient hotels in Hermosa Beach. 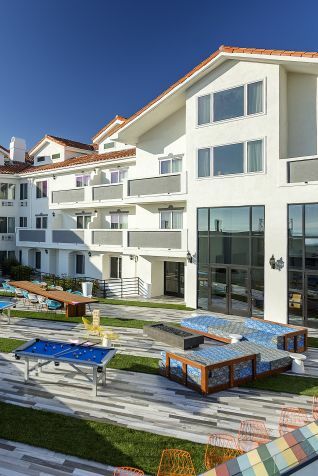 From lawn games, fire pits, and ocean views in The Yard to brand new guest rooms and upgraded amenities like made-to-order breakfast from Beach Eats, Hotel Hermosa offers a truly unique Hermosa Beach experience. Experience Redondo's King Harbor with exceedingly brilliant marina views. Featuring 112 guest rooms and suites, our hotel offers complimentary Wi-Fi, upscale bath amenities, comfy robes, and flat screen TVs. 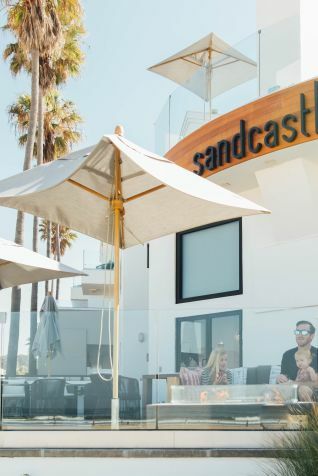 Enjoy on-site beach cruiser rentals for exploring the Strand, and take in a Pacific sunset on our spacious second floor terrace. Perfect for leisure and business travelers alike. Renowned for its beautiful beaches, popular downtown area, and world-famous attractions, San Diego is a picture-perfect destination where sunny skies, ocean breezes, and comfortable temperatures come standard all year long. It’s everything a modern city should be – and more. The downtown is a vibrant area filled with restaurants, shopping, bars, and pro sports venues, and areas like La Jolla and Pacific Beach offer relaxation and beautiful ocean views. From the San Diego Zoo to Seaworld and Balboa Park, San Diego offers plenty of fun activities and attractions that bring visitors from all over the world. 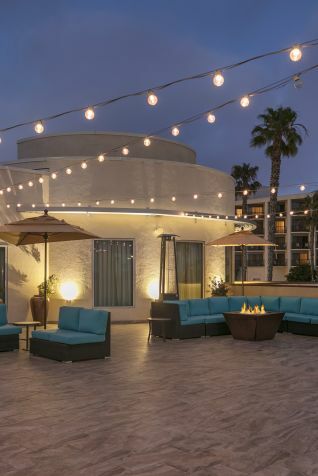 Located just steps from the beach, La Jolla Cove Hotel & Suites invites guests to experience the charm of La Jolla and the tranquil beauty of the Pacific Ocean. Our La Jolla hotel offers newly refreshed guest rooms and spacious 2-bedroom vacation rentals with stunning ocean views, instant access to sandy beaches, and generous hotel amenities, with complimentary Wi-Fi and breakfast everyday! We're centrally located just steps from La Jolla Cove and a short walk to boutique shops, restaurants, and art galleries. 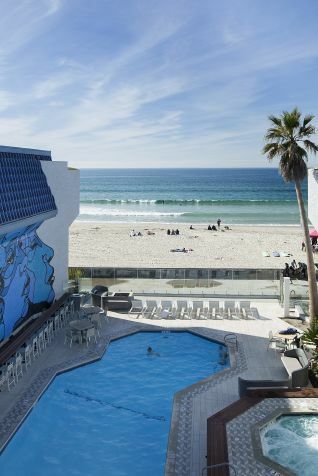 Ideally located on the sandy shores of Pacific Beach (PB), the fan-favorite Blue Sea Beach Hotel is a refuge from the every day. Perfectly suited for the ultimate laid-back vacation, be greeted by our bright new beach décor and indulge with Pacific Beach hotel features and services like our oceanview year-round heated pool and spa, on-site bicycle rentals, and a central location near the world-famous Strand, perfect for surfing and sunbathing. With unspoiled beaches, crystal clear water, and premier golf courses, the Sunshine State provides a picture-perfect destination for both business and leisure guests. Plan a Florida vacation to Port St. Lucie, where the stellar services, amenities, and accommodations of the Hilton Garden Inn will welcome you. Escape from the hustle and bustle of the city and discover the relaxed, laid-back destination of Port St. Lucie. 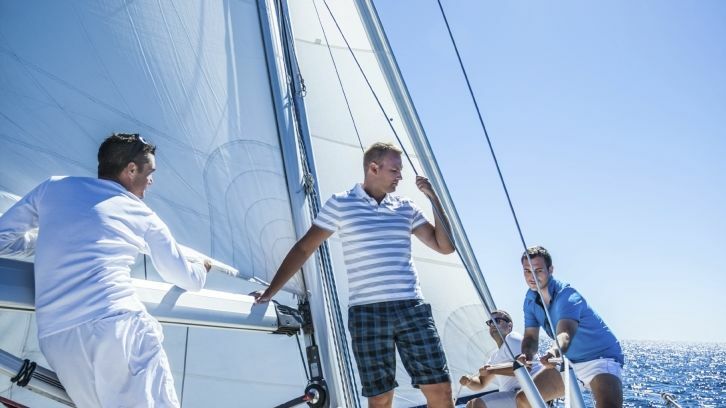 Take a boat ride down scenic waterways, stroll past splendid shops, take a swing at celebrated golf courses, or cheer on your favorite major league baseball team every spring. Your Florida getaway awaits at the Hilton Garden Inn Port St. Lucie PGA Village. 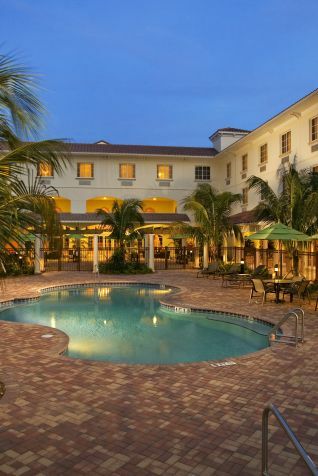 Hilton Garden Inn Port St. Lucie invites guests to the stunning Treasure Coast of Florida. Our Port St. Lucie hotel is located adjacent to the PGA Village and within easy access of exceptional water sports. Stay in deluxe accommodations, suitable for business or leisure travel, with amenities like high-speed Wi-Fi, spacious desks and cable TV. With the deep blue waters of the Pacific Ocean on one side and the dramatic peaks on the other, say aloha to paradise in Hawaii. Multiple national parks grace both the Big Island and Kauai, surrounded by historic towns, oceanfront dining, local shopping, and cool ocean breezes. Imagine waking up every morning to a beautiful Hawaiian sunrise right outside your room, followed by an afternoon lounging on the beach or pool. 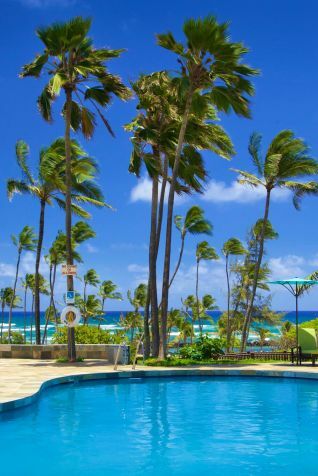 This can be your day, every day, when you vacation at Courtyard King Kamehameha's Kona Beach Hotel & the Hilton Garden Inn Kauai Wailua Bay. 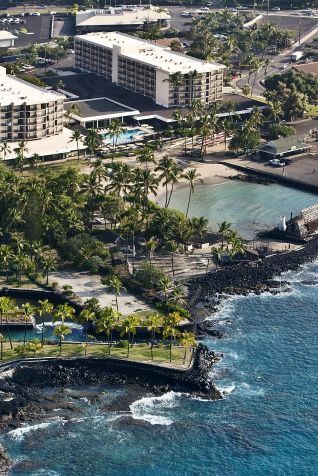 Situated on the sacred lands where Hawaii's most famous king ruled, our Kona, HI hotel offers an endless array of features for unforgettable vacations and events. Whether you choose to relax at the spa or swing a racket or feast on kalua pig (or all three—why not? ), Courtyard King Kamehameha's Kona Beach Hotel sets the stage for any of your favorite island pursuits. Say Aloha to beachfront accommodations featuring an on-site restaurant, swimming lagoon, and more.